Location – Milford Haven, Wales, UK. 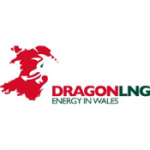 Delton was contracted to Dragon LNG in Milford Haven to deliver a series of Operations and Maintenance Front Line Supervisor Training Programmes. The Programme was designed and developed by Delton and delivered on-site at Dragon LNG site.